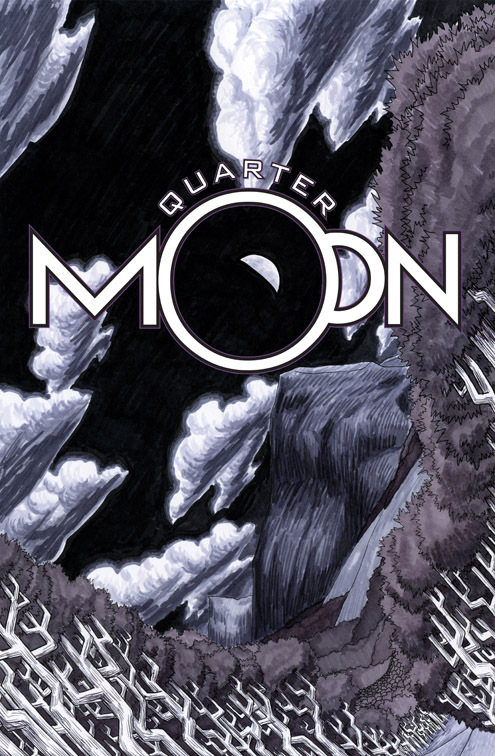 QUARTER MOON and ANNIVERSARY PARTY! It’s our one-year anniversary bash, and we’re rolling out the first issue of our quarterly series. This first issue is an all-silent outing with work from Charles Fetherolf, Alexandra Beguez, Sophia Wiedeman, Alex Eckman-Lawn, Rob Woods & Chris Stevens, Farel Dalrymple, and Jeremy Baum. It’s been a heck of a first year and we look forward to celebrating with y’all. This entry was posted in Making Comics, Store Events and tagged book release, charles fetherolf, chris stevens, comics, farel dalrymple, jeremy baum, party, quarter moon, rob woods. Bookmark the permalink.